For 0.3 $ we plant a tree. The projects of Pachamama Rayni are designed for a duration of 3 years.  We work in the poorest rural areas at the level of entire districts or provinces. 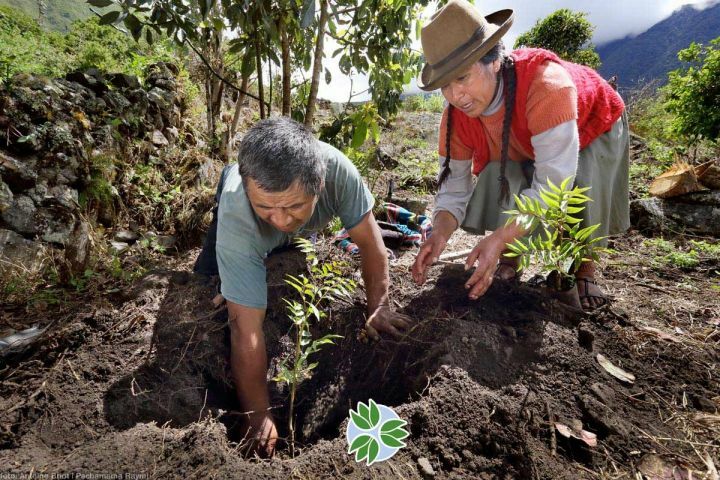 In these three years we will work with families on large scale afforestation of the predated areas. Foresting the farmers recover an environment conducive to agriculture. In the medium term, afforestation generates strong revenues from the exploitation of wood. 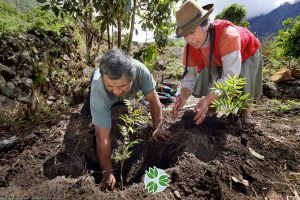 Of course these millions of trees will have an impact in the fight against global warming. With every $ 0.30 invested in our projects we plant at least 1 tree. We humans generate greenhouse gases directly or indirectly during our life. These gases accelerate global warming. Our carbon footprint is the sum in tons of greenhouse gases that we have emitted.  Travel by plane or car, heating, the use of electrical appliances or the consumption of meat generate enough greenhouse gases. The trees absorb carbon dioxide one of the main greenhouse gases. 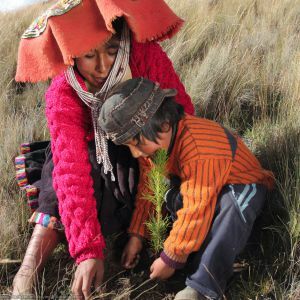 The Andean cedar is a native species belonging to the mahogany family that grows in the Andes, its wood can be harvested from 20 to 25 years and has an excellent commercial value unfortunately it is currently threatened with extinction. 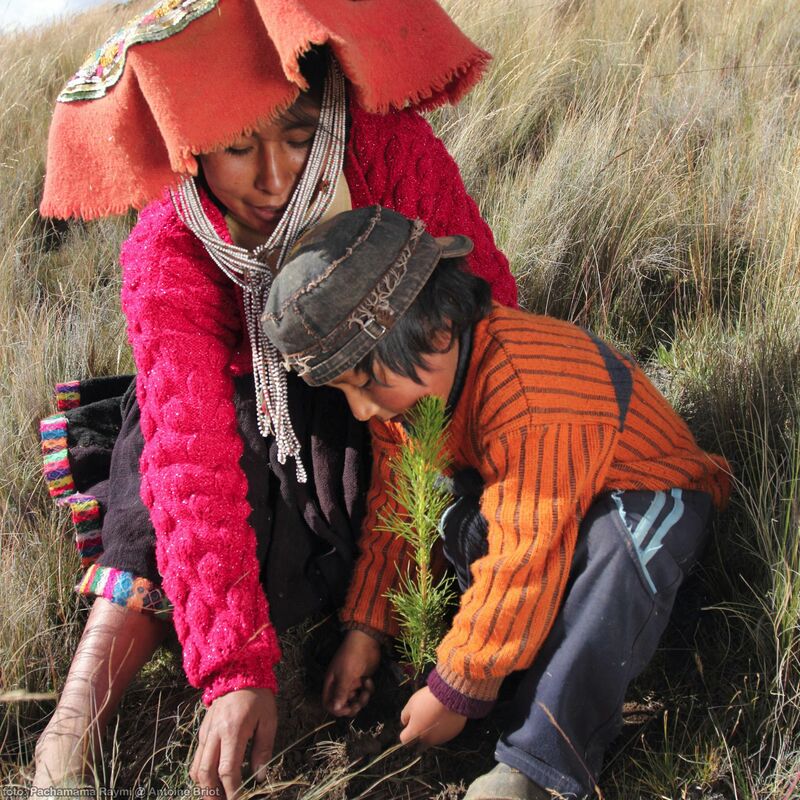 With our Andean Cedar Recovery program we have worked in the district of Marcapata, managing to plant 20 hectares of cedar in 40 family plots. We are replicating this successful experience in new provinces.